Many of us remember the old days of floppy disks, cassette tapes, and actually calling people on the phone, but there's another thing that we'll be telling our kids about: going outside to check if the mail is in yet. 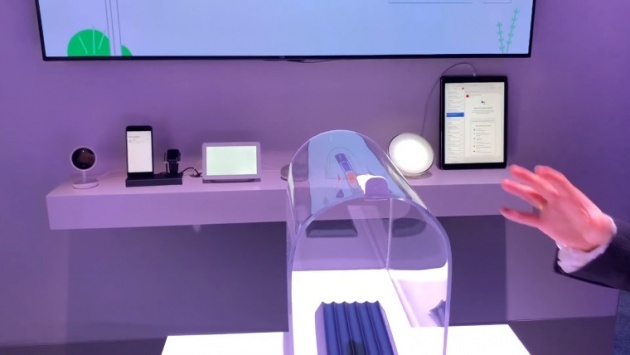 At CES 2019, the United States Postal Service showed off the Connected Mailbox, a device that tells you when the mail is in and a whole lot more. The obvious thing you can do is get an alert when the mail arrives. But it's also connected to Google Assistant and/or Amazon Alexa, so you can have your Philips Hue lights turn a certain color when the mail arrives. You can also set up a camera to record people getting the mail. That way, if someone tampers with your mail, you'll be able to see it. One of the things that USPS was pushing at CES was its Informed Delivery service, which already works. This is a service that will send you an email every morning with your scanned mail items, so you can already see what you're going to receive. If you see something particularly exciting, you might be outside checking the mail multiple times a day. But the cool thing is that with the Connected Mailbox, you can now be alerted when that item actually arrives.